I made this a year ago and wanted to share it again. Good luck to all the 4th year medical students participating in the match! If the Monday of Match Week comes and goes without much fanfare, then consider yourself lucky. It is on this day, "Black Monday," that 4th year medical students find out if, but not where, they have matched. 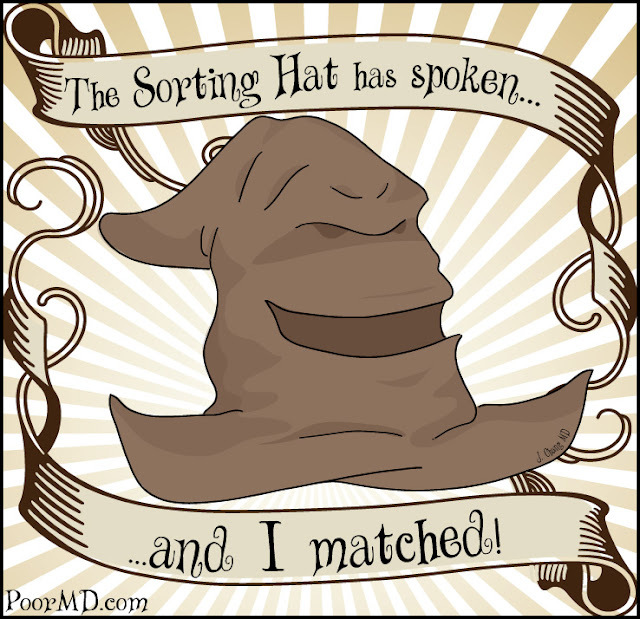 So if you are not scrambling on Black Monday, then pay homage to the magical Sorting Hat and honor the one who decides where you will be spending the next 3 to 5 years of your life by posting the above image in your home shrine, your Facebook page, or your personal blog. Also make sure not to miss our Match Day comic.